i am sure most of you have all of these things sitting on your counter - you do, good! until then, i am going to go and enjoy my soup - i hope you do too! 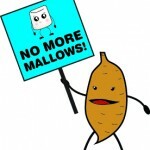 Check out the No More Mallows Recipe Contest! oh woow...this soup looks so delicious. It looks so creamy, the avocado is such a nice idea !! I will note this recipe down and make it happen ! that is a beeeautiful soup! What beautiful photos! And the soup sounds delicious! I wish I had seen it last night before I whipped up a generic potato soup recipe. I did, however, add an avocado for the first time and it was DELICIOUS! So perfectly creamy. I have been on a crazy avocado kick lately; I can't get enough of them! LOL that is what happens when I have the week off! I have a long list of recipes I am testing out this week...although I did take today off from the Kitchen..and I treated myself to a massage yesterday and a Girls night overnight at the Inn with my Cousin - I figured I shoul fit in a little vacation time this week! I definitely have had my fair share of "lack of creativity" blocks it will pass- with all those super recipes you have been posting maybe your creativity needed a break; after the homemade dorito pasta (so amazing) maybe your creativity needed a mini vacay! Aww the chips were so good- dare I say even when they were a little soggy and chewy- YUM! Ooh, this looks great! I have an avocado in my kitchen that is ripening. I've no idea what to do with it so this is a must! Soup with some Wasa crackers? That'd be an awesome meal! Wasa Crackers- definitely googling those; you have me curious! 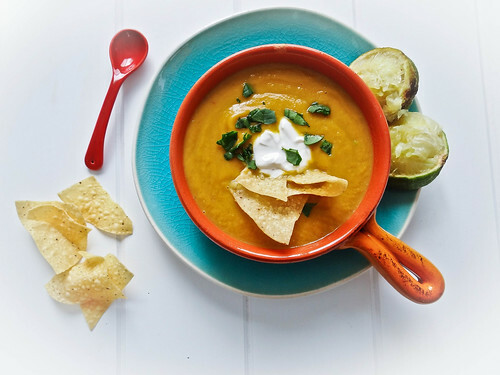 This creamy soup is fantastic, i love sweet potatoes! Perfect for our wet weather here! This would be perfect to make on a rainy day! My friend posted this on my fb wall because she knew it sounded like me. I've pinned it and can't wait to secure the missing avocado and chipotles to make it this week. Thanks for sharing...beautiful pictures too. Hi Booturtle! Thanks for stopping by and thanks to your friend for leading you over to SMBP; I hope you enjoy the soup as much as I did- let me know how it turns out for you! 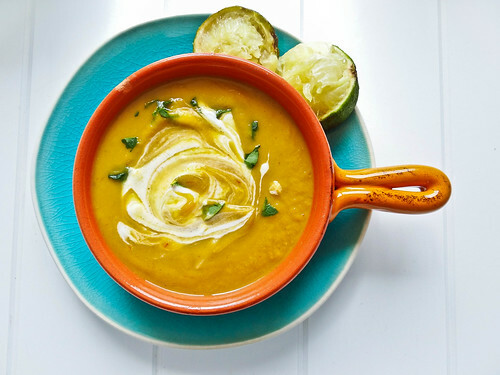 I love soups like this - creamy from root veggies without needing to add cream! 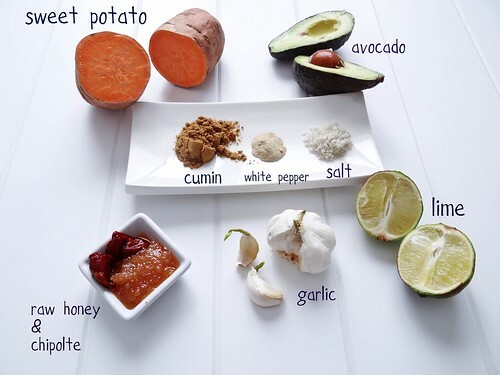 Cumin is definitely one of my fave spices too, but I never would have thought to add avocado to a hot soup - love that idea! I haven't bought an immersion blender because I tell myself I don't make soup often enough to need one, but then I curse every time I have to transfer batches of soup into my blender! This is my favorite way to make soups - i love pureed soups with just a little bit of texture from toppings! My immmerson blender was the best $20 i have ever spent; I use it to blend the base of my vegan mac n' cheeze sauce too - (winter squash or sweet potatoes and almond milk with a bit of daiya stirred in!) also to make milk shakes with frozen banana- YUM! What a great looking soup! 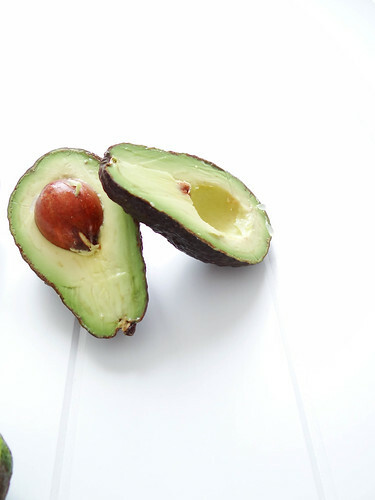 Avocados are my favorite, so I'm pro every recipe that includes them. Then this soup is definitely for you! I had some reaheated last night topped with with some chopped avocado & tortilla chips- SO GOOD! That looks so creamy! Fabulous! Thanks Barb- the avocado made it super creamy! This soup look absolutely delicious! And your photos are really great, honestly; I love the style and clarity of them. 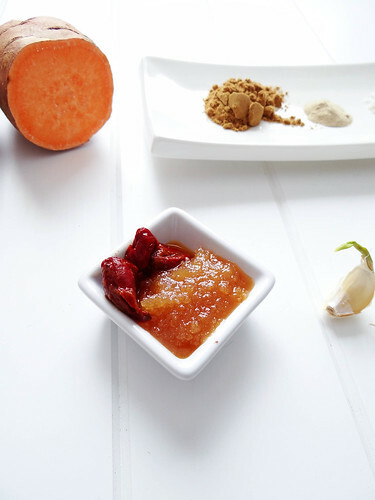 Great post and recipe! You are all entitled to your opinion, however only positive comments and/or suggestions are welcome on my site. I saw your recipe on Finding Vegan and made it for dinner last night (I had all the ingredients!) I was stunned at how awesome it tasted. While I was cooking I was tempted to add some additional spices because I have trouble leaving well enough alone when following recipes. I'm so glad I followed it exactly. I had it again for lunch today, and oh my gosh it is filling! This is one of those recipes that will go into my regular rotation. Thank you! This recipe looks delicious. I agree with all you said and more about soup! Come and join in my blog event starting April at THE SOUP KITCHEN, HERE everyone is welcome to participate, hope to see you there very soon. Thank you for stopping by and for the Invite to the Soup Kitchen Event; so excited to participate! 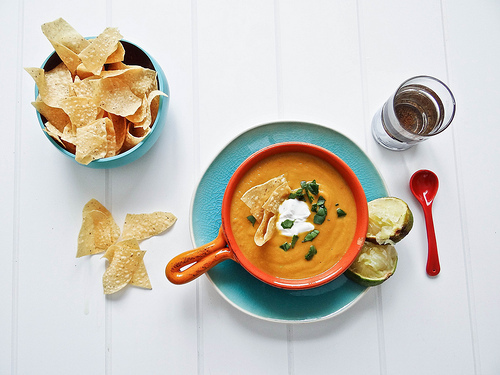 This soup looks simply divine! So creamy and hearty... I make a soup very similar to this one, except it doesn't include avocado. I'll have to try adding some in next time around! 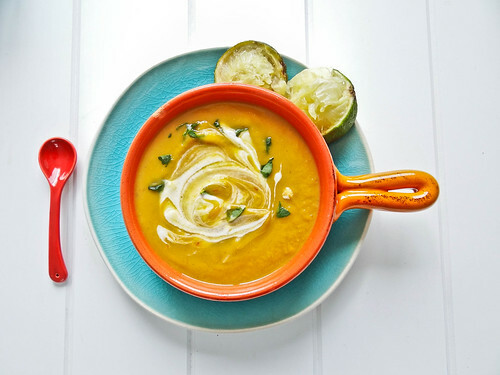 Don't you just love creamy soups, they are my absolute favorite! Thank you for the kind words- I will have to try adding in some onion next time around; I hope you enjoyed the post! This soup looks delicious and I love the way that you took your photos. Great work! I just want to say that this soup is amazing. I am assuming that you made it, did you make any fun additions to the soup or make it straight up? 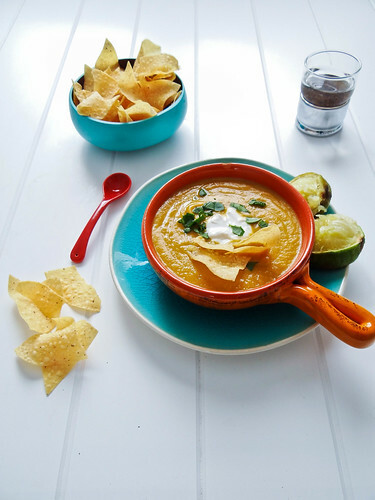 I truly loved everything about this soup! 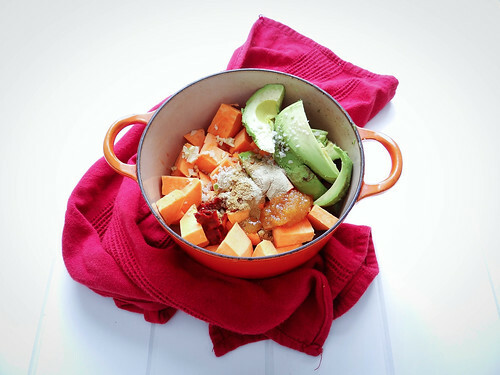 This is so decadent and sounds like such a great combo of avos and sweet potatoes! BTW...I'm a beegan too! Thanks for sharing on HVF! YAY for beegans :) do you find this to be a super sensitive subject with some vegans - do you tend to shy away from using honey in your blog recipes? When I mentioned the word beegan in this post I was pretty much crucified by a few people...just curious if you get the same reaction? HI, I just wanted to let you know how much I loved this soup. I made it exactly as the recipe directs, only I topped it with caramelized onions & sauteed mushrooms and it is extremely hearty and delicious. Thanks for a great recipe! Ooobh car aliased onions that sounds so good!